Are you in the process of replacing your conventional beauty products with all-natural, perhaps homemade, products? This DIY Face Primer uses three simple ingredients to give you a non-toxic, beautifully scented beauty product that you can easily make yourself and feel good about! In a small liquid measuring cup, whisk together all ingredients. Use a funnel to transfer to a small glass spray bottle. To use, spritz over clean, moisturized face and allow to dry completely. Go au naturel, top with a dusting of arrowroot, or finish with your regular makeup routine. 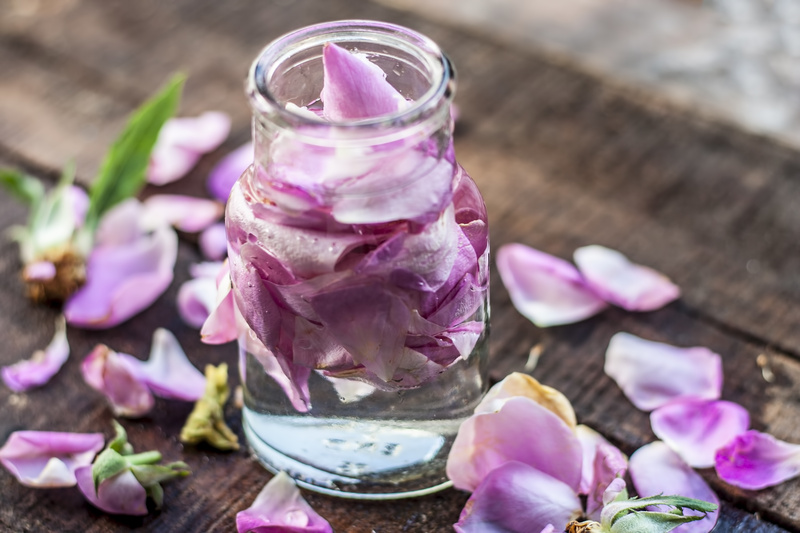 Rose Water has been around for centuries as a natural beauty product. Not only is it soothing, it has anti-oxidants and vitamins that nourish the skin and also help with anti-aging. It also has anti-inflammatory properties to help soothe redness or irritation. Vegetable Glycerin is widely used in beauty products as it is moisturizing and also helps combat acne. Lavender Essential Oil is calming, anti-bacterial and anti-inflammatory making it a great choice for any skincare routine. Plus it smells amazing! Organic vs. Non-Organic Wine: What's Really in Your Glass?